It’s Thanksgiving time around here, and in that spirit, I want to share with you some health communication resources that I am thankful for this year. Some of these might be new to you. Some of these, perhaps you’ve heard of, but might not be using. And for the ones you are already using, I hope I can give you some inspiration on a new way to get more out of them. Thanks! Yes, it’s geared toward public health pros. But I promise: if you’re reading this, there’s something there for you. While you don’t have to be in public health to sign up, if you are in public health you may be able to submit for credit. If you care about kids, or pets, or both, go to their section on helping children through pet illness and death. I learned about the Argus Institute through its former Director and health communication all-star, Jane Shaw, DVM, PhD, Associate Professor of Veterinary Communication at Colorado State University. As Dr. Shaw told me, since our pets have shorter lifespans than we do, the death of a pet is often the first death a child experiences. It is a powerful experience that merits attention and thoughtful handling. Their advice on speaking with children about the death of a pet is wonderful, thorough, research-based, and brave. I recommend it highly! Here’s to another set of all-stars in health communication: pets. They teach us about so much, don’t they? This opened another conversation between the educator and her students, about the possibilities pets offer as topics of communication. Though not a guarantee, pets tend to be a safe topic because they cross cultural and social groups. You might have a strong opinion about email. Me, I don’t know what I would do if not for my inbox. Laugh if you must. If you know me, you know I’m one of those who aren’t on facebook. The only ‘feed’ I need comes from occasional emails or newsletters I receive from the listservs, rss feeds, and professional organizations I’ve signed up to hear from. Those I trust and actively want to hear from. I scan them all, open some, and rarely delete. This allows me to go back into my emails and search for a topic. Et voila! It’s there for me. 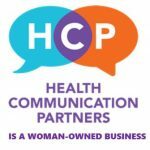 Of course I’m going to suggest you sign up to be a free member of Health Communication Partners. Because I curate resources for you in our Free Member Library. And it’s free. TweetDeck has some nice functionality, but I’ll be honest: I use it for one thing. To keep track of what’s going on, in topics I care about. I have standing columns open for #healthliteracy, #healthequity, #digitalhealth, #implicitbias and more. 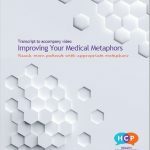 When it comes to improving your professional communication around health, paying attention to the ways we talk, think, listen, read, and write is the way to go. And this attention benefits from the help of our friends. Communities of practice can take many forms. Maybe it’s a weekly writing group. Maybe it’s a monthly conference call. Maybe it’s a working group. Maybe it’s an online asynchronous platform (like google groups or slack). I’m members of all of these kinds of communities of practice, and I could not do this work without them. So if you’re not currently a member of a community of practice, get yourself one! It’s easy. Reach out to one or two friends, set a schedule that works for you (even just for one month), and decide what you will do together. Then do it, and adjust accordingly. Yes I know you’re busy. I also know you care about your own health communication. That’s why you’re here. Journaling – writing for yourself, on a screen or a page, about your own communication– is the most powerful step you can take toward improving your own communication. I know you constantly think about what you’re doing when it comes to communication. I’m here to tell you: write it down. It will change the way you think about it. Not sure where to start? Gotcha covered. I’ve said it before: when it comes to improving your health communication, the best resources are in the room with you. I’ve heard from many providers about the pressure to do things perfectly right, quickly, and consistently. This can lead to a search for the right way to say something. The phrasing that will work every time. As if there’s right way to talk to everybody! Good news is, you have what you need. The ability to reflect, and the person in the room with you. So stay curious, and let yourself ask some respectful questions. I couldn’t not include podcasts. They’re what we need now, aren’t they? Friendly voices in our head while we’re going about some of the mundane tasks of life. Maybe you’re already listening to a podcast about health communication (hey, I happen to have one!). You can also improve your health communication by listening to podcasts about communication and culture. I’ll throw out two recommendations: Vocal Fries and Code Switch. OK, this one is not like the others. You may be paying attention to health literacy in written materials. Maybe it’s patient educational materials, public health campaigns, or digital health tools. If you are, there’s a good chance you’ve heard about ‘reading levels.’ That is, there are ways of calculating parts of a text, and this calculation is then made to suggest the grade level someone would need to have completed in order to be able to understand the text in question. These readability formulas are popular. I agree with the CDC. Readability formulas in themselves aren’t problematic per se. The problem is that they are often the only facet of a text that gets talked about. I can’t tell you how many times I’ve heard folks say “it’s at 5th grade reading level” as evidence of a concern about health literacy. The problem is that the conversation usually stops there. So please, if you’ve gotta focus on readability levels, situate them in larger concerns, such as those about audience, context, purpose, media, culture, representation, or power, just to name a few. Thank you for reading! Thank you for allowing me to walk along with you, these few steps.